Free Cutting Brass IS 319 Type (I).Free Cutting Brass as per BS 249 Type (I).High Grade Free Cutting Brass. Any Special Brass Material Composition as per customers requirement. AvailableAny kind of special Brass Sanitary Fittings can be developed and supplied exactly as per customer specifications. 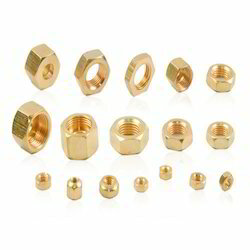 We Manufacture Nickel Plated Flare nuts Ready to use , Threads as per requirement. 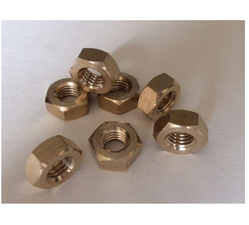 Being a client-centric organization, we are engaged in manufacturing and Trading Metal Nut. With an objective to fulfill the demands of our clients, we are engaged in manufacturing a wide array of CP Band Nut.